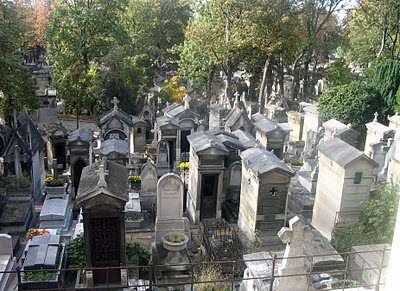 To all my Paris loving friends, if you haven't been to the Cimetière Père Lachaise, put it on your list of "must sees". This is no Paris secret but needs mentioning anyway. Opened in 1804 on the site of a former Jesuit retreat, Père Lachaise is today one of the world's largest and most famous cemeteries. Not as obvious a tourist attraction as the Eiffel or the Louvre, the cemetery is a fascinating walk through history and is a great way to spend a quiet morning. (Buy a map before going in). 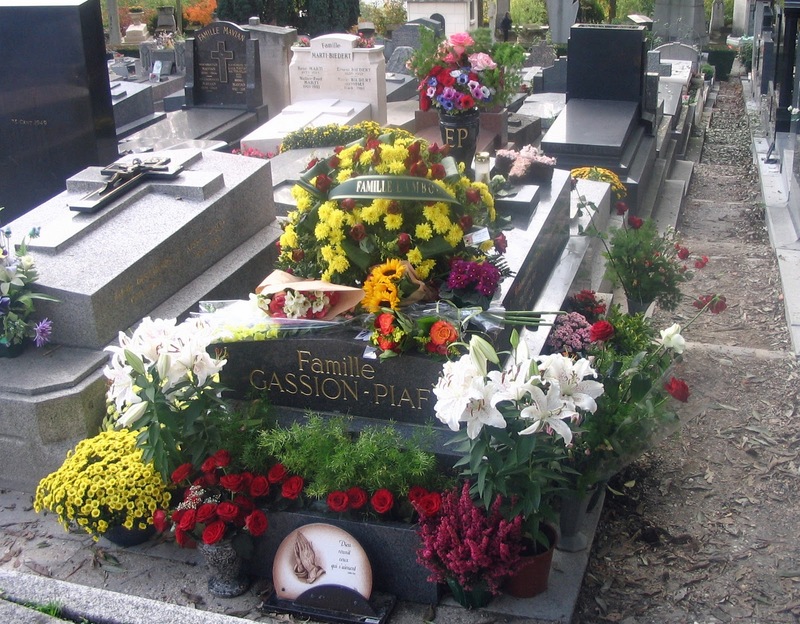 I think of Père Lachaise as a “living” cemetery because of the streams of people who come to pay their respects to a favorite performer or artist. It's interesting to see not only where Edith Piaf is buried, but the amount of flowers that are regularly left to her memory. 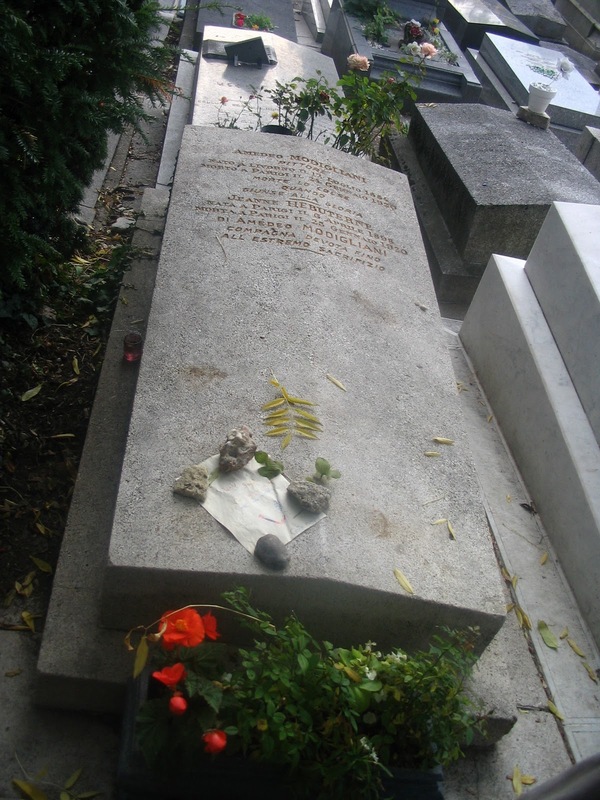 Little notes held down by stones are left for Modigliani. Balzac, Molière, Pissarro, Oscar Wilde, Chopin,Yves Montand, Gertrude Stein, Henri Salvador, Jim Morrison, Isadora Duncan......all remembered and visited. There are also several memorials to the deportees of WW II which are particularly moving. Although I can find volumes of information on the cemetery, I can’t seem to find an actual site to buy a plot today. I guess that’s a clue. Not just anyone can be buried here. 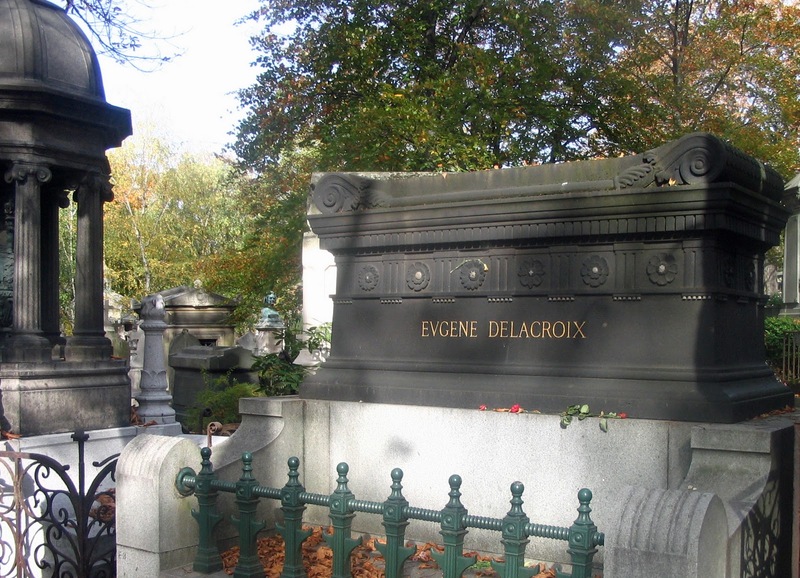 BUT…..scattering ones ashes in Père Lachaise seems like an excellent final resting place (although possibly illegal if we're going to be picky). If anyone is going to do it for me, no rush of course, near Pissarro would be nice. Or Piaf. 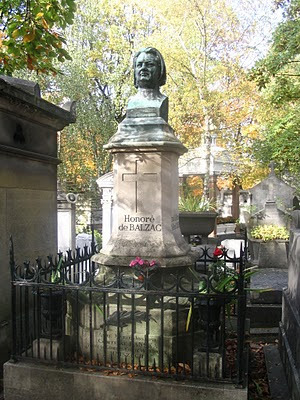 Or Balzac. Well, actually any place would be fine because I’d be in Paris. I was there in 03. Saw Colette's grave, Modigliani and Jeanne Hebuterne. I was surprised that Sarah Bernhardt's tomb was so sedate. And Jim Morrison's bust had been removed. If it hadn't been for the armed guard I wouldn't have suspected it was his grave. Imagine all those fiercely creative souls leaving their bodies in such illustrious company! Imagine the conversations these people would have had if they had all met during their lifetimes! 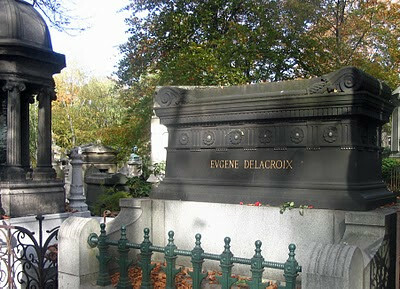 I had no idea Oscar Wilde (my hero) is buried there - I will DEFINITELY make the effort to visit there next time I stop by Paris! You could spend a week there just roaming around finding the famous - lots and lots of heros!